Now available to rent, own and stream on iTunes and AmazonPrime. "This movie gives you, well, the man’s heart, and it’s a beautiful one." "Form and content collide in inspiring ways"
"As much a visual poem as it is a documentary." "A sonic-visual ode to the ineffable magic of inspired and gracious living." "A kaleidoscopic portrait of the drummer’s belief in the cosmic potential of music"
"The work of someone who somehow arrived at a mature understanding of how to transcend the limitations of the biographical musical documentary genre, who realized seemingly intuitively that you can tell the story of a person's life, or you can use that life to tell a story, in sound and pictures, not in words." "One of the best jazz documentaries ever assembled... a singular viewing experience." "This is filmmaking that helps remind us of the profundity of our most basic senses, and the rhythm that guides and glides with them." "Like Graves's music, the film is uncompromisingly original in form, but it teaches us to watch and enjoy it." MILFORD GRAVES FULL MANTIS is the first ever feature-length portrait of renowned percussionist Milford Graves, exploring his kaleidoscopic creativity and relentless curiosity. 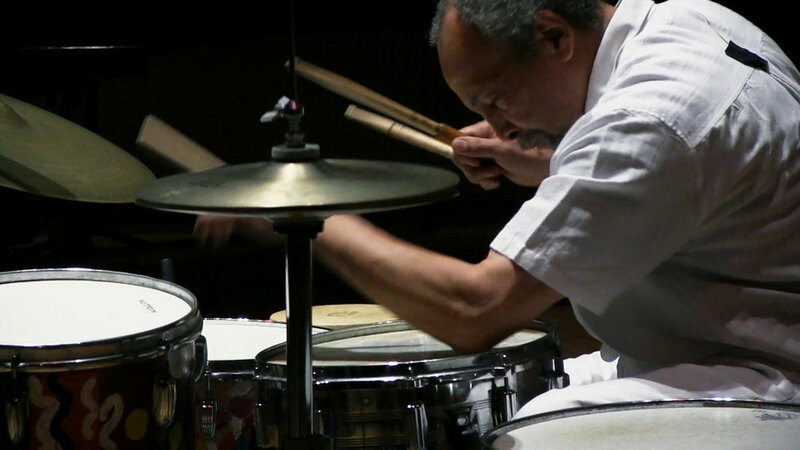 MILFORD GRAVES FULL MANTIS has received the honor of being invited into the inaugural Smithsonian African American Film Festival, presented by the National Museum for African American History and Culture, taking place Oct. 24–27 in Washington, D.C.
"The musician Milford Graves is a rare example of a truly holistic artist. This stunning documentary, directed by Jake Meginsky with the assistance of Neil Young (a musician, but no relation to the rock star) does not offer anything like a conventional biography or career trajectory of the percussionist, who was and continues to be a unique force in jazz." "Form and content collide in inspiring ways in this documentary ... Milford Graves Full Mantis is a jazz movie in every sense of the word." "Even for viewers who've never heard of the septuagenarian, it's an oddball delight." 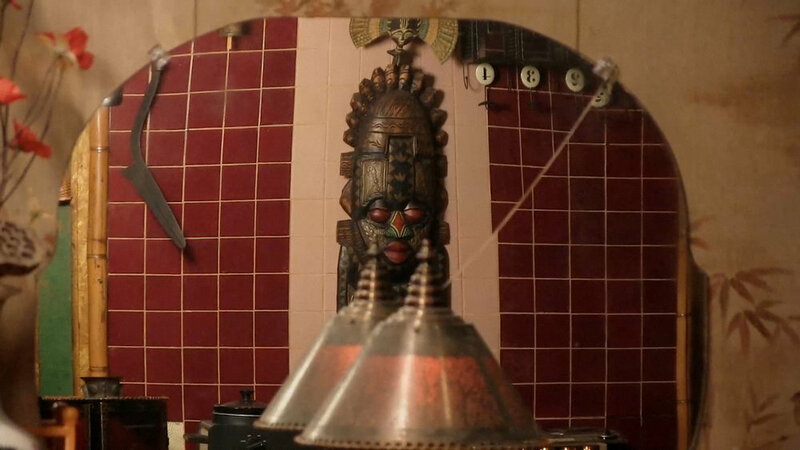 "The new documentary directed by Jake Meginsky and co-directed by Neil Young explores the life of Milford Graves well beyond his contributions to the avant-garde. While pioneering the role of the drummer in free jazz, the Queens native managed to become an acupuncturist, a sculptor, a martial artist, and an expert of the human heart, writing software that turns its pulse into melody. The film, with Graves serving as its only voice, is a lesson in autodidactism." "Through Young’s gorgeous cinematography and an expert interweaving of interviews and footage, Full Mantis is a celebratory incantation of human achievement." Milford Graves Full Mantis available today for rent or purchase through Amazon. On Thursday Feb 28th it will be streaming on Amazon Prime in USA, UK and Canada.